"They tried to 'fix' me with fists and cricket bats"
By Rachel Held Evans, on March 22, 2013. This is the ninth post of our weeklong series, Into the Light: A Series on Abuse and the Church, which features the stories of abuse survivors, along with insights from professional counselors, legal experts, and church leaders about how to better prepare Christians to prevent and respond to abuse. Through the course of the series, we will be discussing child abuse, spiritual abuse, sexual violence and abuse, domestic violence, and bullying. Check out the previous posts here. Sadly, one of the most prevalent forms of abuse occurs every day in the hallways and playgrounds of our schools in the form of bullying. Really, we could devote a whole series to this topic, and perhaps at some point we will. 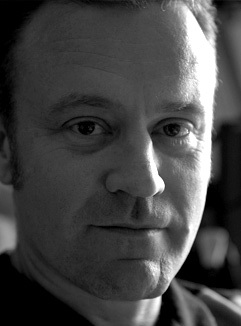 But for our purposes this week, I am delighted to introduce you to writer Glen Retief. Glen is a South African writer living in central Pennsylvania. He writes fiction, memoir, literary journalism, and personal essays, and he teaches at the Writers’ Institute at Susquehanna University. 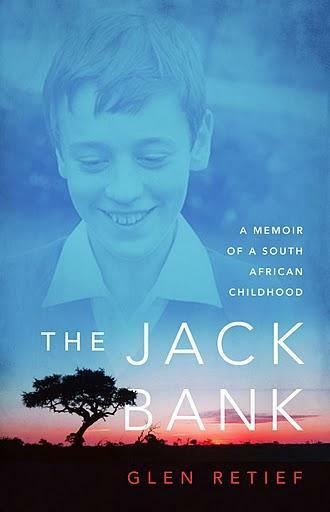 Glen’s memoir, The Jack Bank, won a Lambda Literary Award for Gay Memoir. 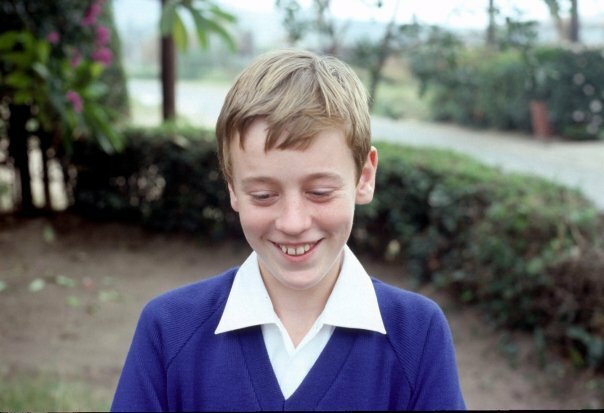 Glen’s story not only highlights the ways in which he was bullied as a child, but also the homophobia that fueled that bullying, which tragically, is too often allowed to fester in a Christian environment. I hope you will learn as much from his story as I did. I grew up in South Africa in the 1980s, in a time and place almost unimaginably different from most American readers’ homes. My father worked as a conservation biologist in the Kruger National Park. Impala kept our lawn mowed. Riding our bikes around the village, we had to keep an eye out for hippo, buffalo, and lions. The village shop, like most businesses in the country, was reserved for whites only: Swazi maids had to show the cashier a letter from a white “madam” if they were to be allowed to buy groceries. Because there were no high schools in the immediate vicinity of our home village, at age 12 I was sent away to a government boarding school. As in the Harry Potter books, 17-year old prefects were responsible for maintaining order in the hallways. Unlike at Hogwarts, though, new students at my school were subjected to humiliating, often sexual initiation rituals. Also, the preferred method of maintaining discipline was corporal punishment with a cricket bat, blows of which were colloquially known as “jacks.” While official rules forbade this practice, teachers and administrators turned a blind eye in the belief that it promoted order and also was healthy for young men who needed to learn endurance. I won’t repeat here what I have described at length in my book, The Jack Bank about this violence. I was beaten at least once or twice a week, mostly with a cricket bat, but sometimes with fists or with a pillow slip filled with athletics spikes. I was told I was pathetic, sick, and perverted. I lived in constant terror of being attacked. I lost weight and appetite, watched my grades plummet, felt sad most of the time, and at one point even contemplated killing myself. Christianity’s role in all of this seemed paradoxical. On the one hand my faith in Jesus was intensely comforting to me. I would kneel in church and look at the carved wooden Stations of the Cross. Those whips and nails: they were inflicted on Jesus because of his Goodness. Jesus was my inspiration. If He could be resurrected after torture and death, I could survive bullying. I also knew if I harmed myself, it would be my loving Catholic family who would suffer, not my macho tormentors. On the other hand, Christian teaching—as I heard it in the classroom—seemed to reinforce what the bullies were saying. “The Christian way is for men to be men, and women, women,” the preacher said in Youth Preparedness class. “The communists want you all to be sissies, because then you won’t win on the battlefield. You also won’t have children, and our Black enemies will outbreed us.” They were good, too, at quoting what LGBT people today call “clobber passages,” like Romans 1 and Leviticus 18. If I was homosexual and unrepentant, I reasoned, God would throw me into hell. I could imagine what hell might feel like. It might be my buttocks burning after corporal punishment—like the fire of Biblical imagery. It could be a 17-year-old’s fist slamming into my gut. It could be the loneliness of being bullied, the self-hatred, regret, and separation from joy and love. It could be despair. So who, then, were my bullies acting on behalf of—the Roman soldiers who flogged Jesus, and thus were God’s enemies? Or God the father, rejecting LGBT people for eternity, the way the bullies were rejecting me? And who was God? Was He a gentle, loving Savior? Or a homophobic bully? In college, as I continued to struggle with my sexual identity, I concluded the latter. I realized I could never be happy on Earth pretending to be heterosexual. I felt praying to become straight would be as blasphemous and arrogant as asking God to change my height or eye color. I didn’t want to volunteer to shut out romantic love from my life—the beautiful union of physical and spiritual intimacy that straight people took for granted as a potential blessing life might grant them—by committing to celibacy, and I thought the positive, self-loving thing to do was to accept myself. With adolescent logic, though, I reasoned that if God was a bully, then I would have to be against God. So I embraced atheism and gay human rights activism, becoming part of a group which successfully lobbied for a clause banning discrimination on the grounds of sexual orientation in South Africa’s postapartheid constitution. Later in life, though, I missed the God of my childhood. The God of my apartheid teachers and prefects may have been a bigoted tyrant, but there was another God I had experienced—the God who had kept me alive. I missed that God. So in my thirties I became a Quaker, practicing gentle, non-dogmatic spirituality—listening in silent worship to the whisperings of love in my soul. Today, I call that experience “God”—connecting with a peaceful and loving center in my heart—and it means a lot to me in my day to day life. Unlike many Quakers, though, I still struggle with whether to call myself Christian. There’s a bunch of different reasons for that, but at core, I think I struggle with a deep-seated distaste for Christianity that comes from my life experiences. It’s hard to forget those persecutors from my formative years, who felt that they had the authority of Leviticus, Romans, and a Christian government behind them when they tried to “fix” me with fists and cricket bats. It’s hard to embrace the religion that deeply hurt you. So today, will Christians stand with the Jesus I pictured in my youthful distress, understanding what it means to suffer, and reaching to comfort persecuted LGBT people without judgment? Or will they stand with my Christian-identified prefects, holding a cricket bat or a Bible passage, and readying themselves to beat someone with it? The spiritual futures of people like me may hinge on how Christians answer this question. Be sure to check out Glen's book, The Jack Bank. You can read an excerpt here. Learn more about Glen on his Web site.